Going Deeper | Thought provoking and heart examining revelations of God’s Word that will challenge you to experience the depths of the wisdom, knowledge and love of God. We can “say” all we want to that we desire to draw closer to Him, but if we are not walking it out, we are deceiving ourselves. 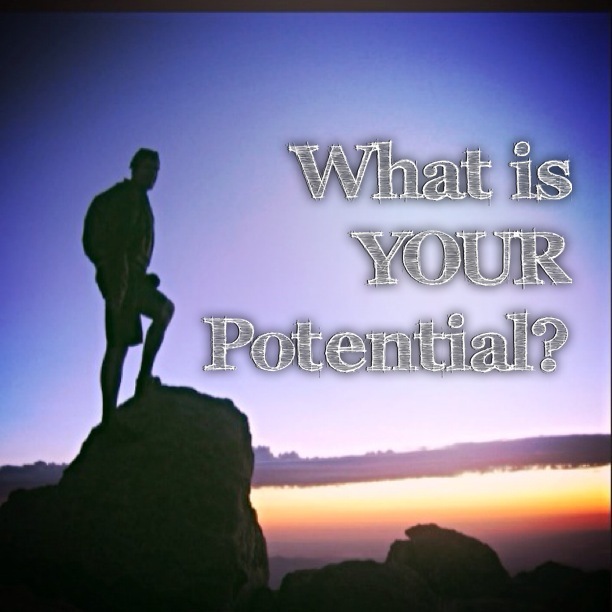 Pursuit is the proof of desire. In this week’s message, “Close As I Want To Be,” we will take an honest look at where we are really at. 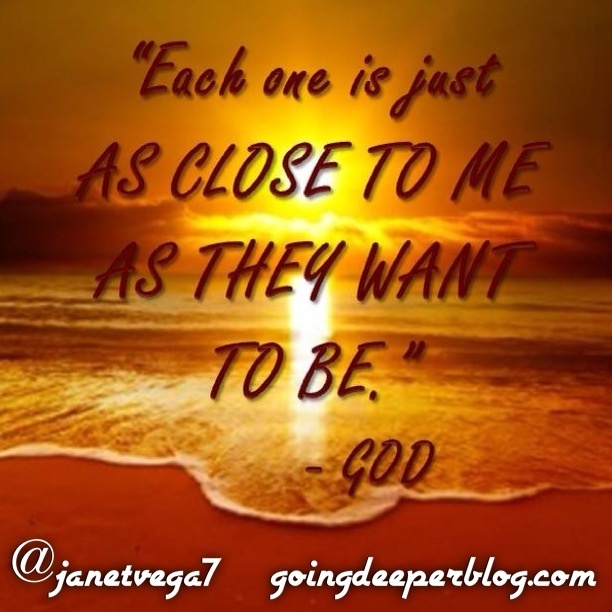 Categories: Challenge, Christianity, Closer to God, Going Deeper, Knowing God, Trust, Worship | Tags: Christianity, Clower to God, Going Deeper in God, Knowing God, Knowing Jesus, Loving God, Worship | Permalink. 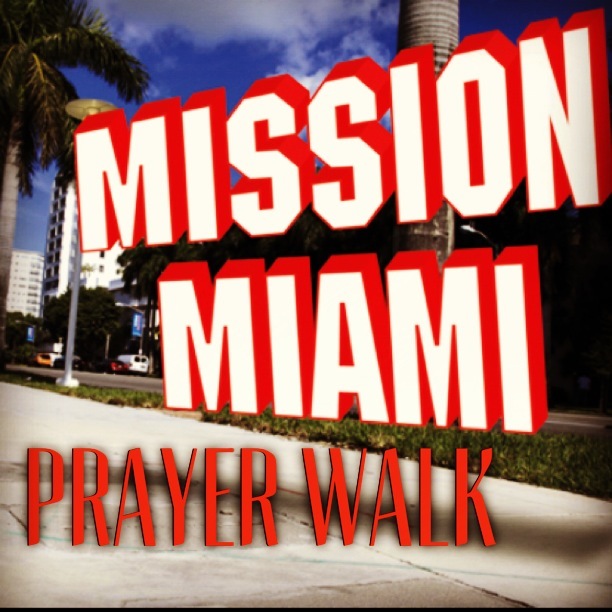 Today (1st Wednesday of every month) is the Mission Miami Prayer Walk. The Mission Miami Prayer Walk is a movement among believers all across Miami to pray for their workplace, their school, neighborhood or wherever they find themselves that day. Miami is our City and our Mission, so lets take the presence of God and pray. Wherever you are on the 1st Wednesday of Every Month, walk thru the buildings and grounds and quietly PRAY! Pray for your co-workers, customers, clients, classmates, patients, EVERYONE. Pray for their families, pray for their hearts to be opened to God, pray for their healing, pray for unity among church leaders, and pray for REVIVAL in OUR CITY. Everyplace the soles of your feet walk on, proclaim the Kingdom of God! Spread the MISSION and GET THE WORD OUT!!! We want to cover MIAMI with PRAYER, in UNITY with THE CHURCH all across OUR CITY!!! Categories: Prayer, Revival | Tags: Mission Miami, Prayer, Prayer Walk, Revival | Permalink. 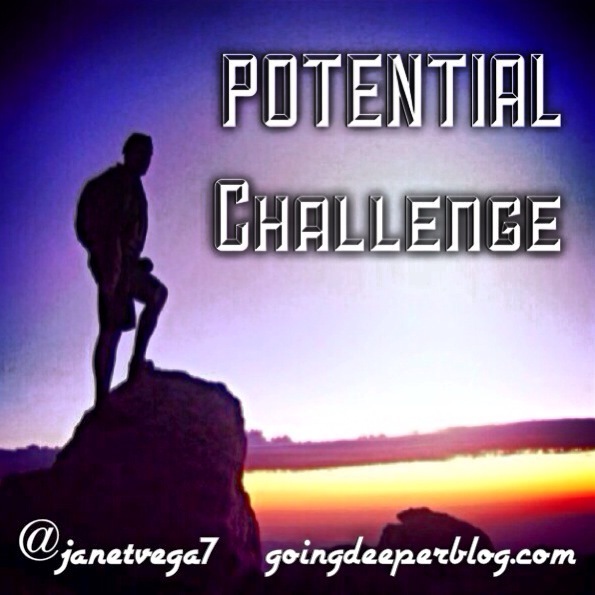 Only a very small percentage of people ever really experience even part of their potential. This is extremely sad. 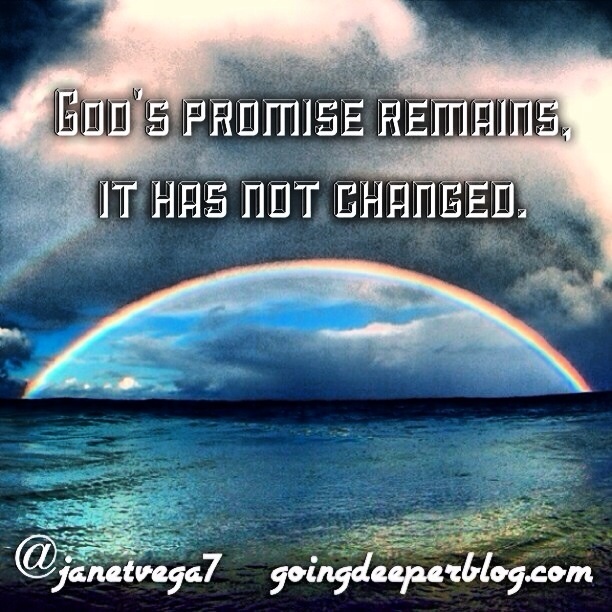 When you consider that God has a plan for each person born, few ever really walk out and fulfill that plan. The Reinhard Bonnke Crusade is Friday, July 18th & Saturday July 19th at the AAA Arena in downtown Miami. All of those that have been involved in putting this together, all who have been promoting it in their churches, and those that are supporting it, are looking for a great move of God in that place and in our city. Categories: Believe in God, Christianity, Knowing God, Prophetic Word, Revival, Uncategorized | Tags: America Will Be Saved, CFan, Jane Hamon, Prophetic, Prophetic Word, Reinhard Bonnke, Word of the Lord | Permalink.